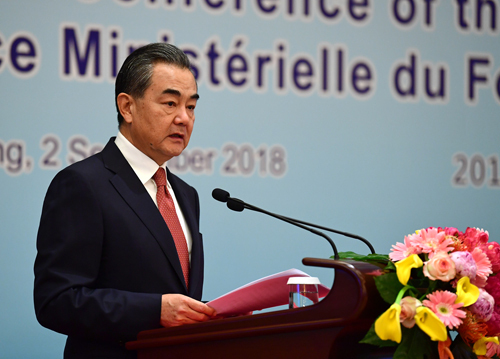 On September 2, 2018, when introducing the implementation situation of the outcomes of the Johannesburg Summit of the Forum on China-Africa Cooperation (FOCAC) at the 7th Ministerial Conference of the FOCAC, State Councilor and Foreign Minister Wang Yi pointed out that China and Africa have deepened mutual benefit and win-win results and achieved fruitful outcomes from economic and trade cooperation over the past three years. Wang Yi expressed that against the general background of world economy facing many uncertainties during its recovery, economic and trade cooperation between China and Africa has showed strong development momentum in all direction, at all levels and in a wide range. The economic and trade cooperation has been transformed from government-led one to the market-operated one, upgraded from merchandise trade to production capacity cooperation, and it has marched forward from project contracting towards investment operation. The cooperation in the joint building of the Belt and Road Initiative between China and Africa has been vigorously advanced, providing new driving forces for the development of China-Africa cooperation. The 10 major China-Africa cooperation plans have been smoothly implemented with all matching funds being put into place or arranged.